One of the most important things in war is knowledge of what the enemy is doing. Detecting early moves. Countering covert operations. Etc. Another is getting high-value attack forces deep into enemy territory without losing those assets. Drones address both of these issues, and it seems clear to anyone paying attention that drones are the future of war. Not all of it. There will still be regular soldiers, but they’ll largely be the elite troops doing things that drones cannot. At first drones will be air and water based, but as time goes on we’ll see more rover-type drones, and then further on more humanoid-type models that aim to augment and replace regular troops. But long before that drones will be extremely useful. Oceans are big. The air is big. The best possible thing you can do is have thousands, or tens of thousands of drones that you can move from place to place, and that are constantly feeding you data on what the enemy is doing (and planning). The game is coverage. And everyone will soon be playing it. It’ll become a classic cat-mouse game of drone stealth and stealth drone detection. And again, these won’t be million dollar devices. They’ll get down into the thousands to produce for the highest volume models. The swarming concept is especially fascinating. I read a book by Daniel Suarez called Kill Decision, that talked about this, and the prospect is frightening. Imagine attacking a human target with hundreds or thousands of very small devices that are autonomous and that work in concert with each other. 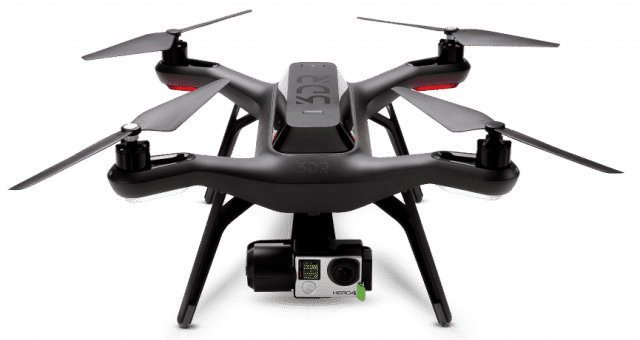 I think a near future could involve ubiquitous drones, and people would have to trust based on the markings or the geographical area that they are legitimate (or at least approved). The Stanford shopping mall already has a security robot that patrols the grounds. This is not some nebulous and ever-distant future. It’s happening already. As I wrote about previously, the use of EM defenses are going to become paramount, especially for law enforcement, organized crime, militaries, etc. It’ll become just as necessary as body armor and ammunition.